The son of Philip Fisher, who is considered the "Father of Growth Investing", Kenneth Fisher is a money manager, bestselling author, and longtime Forbes columnist. The younger Fisher wowed Wall Street in the mid-1980s when his book Super Stocks first popularized the idea of using the price/sales ratio (PSR) as a means of identifying attractive stocks. According to his alma mater, Humboldt State University, Fisher is also one of the world's foremost experts on 19th century logging. Appropriately, Fisher's firm, Fisher Investments, is located in a lush forest preserve in Woodside, California, where the contrarian-minded Fisher says he and his employees can get away from Wall Street groupthink. Since 2003, this portfolio has returned 363.9%, outperforming the market by 171.7% using its optimal monthly rebalancing period and 10 stock portfolio size. 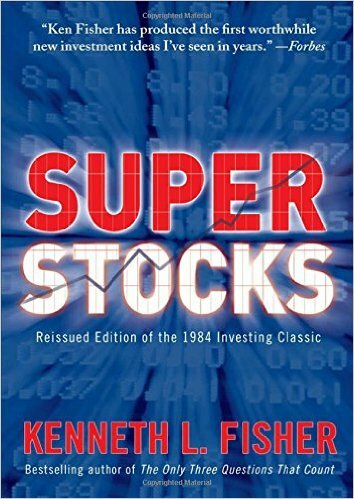 Validea used the investment strategy outlined in the book Super Stocks written by Kenneth Fisher to create our Price/Sales Investor portfolio. Fisher found that earnings -- even the earnings of good firms -- could vary from year to year based on things (accounting changes, decisions to upgrade facilities, increased research costs that will lead to bigger profits down the line) that had little to do with the prospects of the company's underlying business. Sales, however, were far more stable and thus a better indicator of the strength of a company's business, making the PSR a very useful tool. Fisher wanted stocks with low PSRs, and he used different standards for different types of companies. He also wanted to see strong earnings growth, high profit margins, and low debt. In addition, for technology and medical companies, Fisher viewed research as a commodity. When analyzing these firms, he used the "price/research" ratio (PRR), which divides a firm's market cap by the amount it is spending on research. Fisher has changed his strategy today, but his PSR-focused approach has continued to produce strong results for us.